Colonels Smokingun (Gunner) ridden by Bryant Pace. 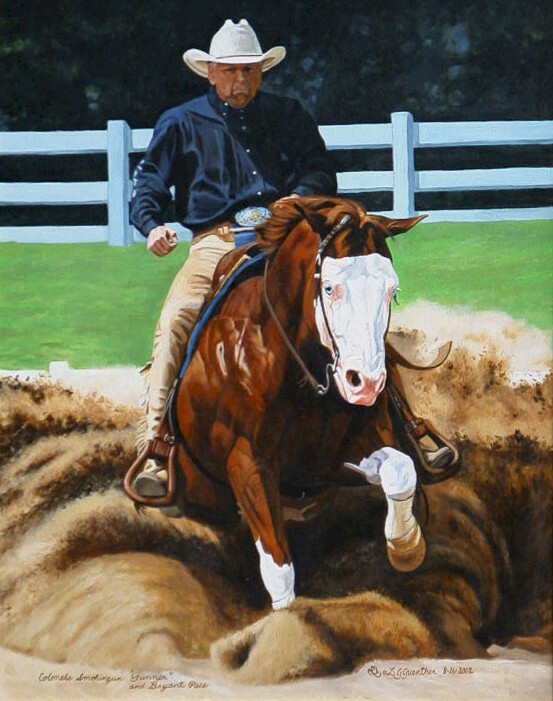 This painting is owned by Dr. and Mrs. Sloan, Kebra Ranch. All work is copyrighted and may not be used in any form without the artists express permission.